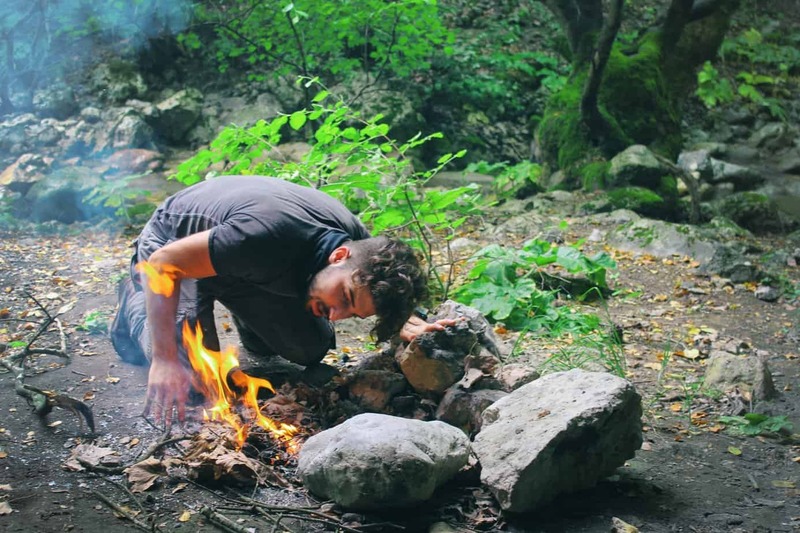 Keeping hydrated, especially when you’re outdoors hiking or otherwise enjoying nature, is very important. The average person simply doesn’t drink enough water and the potential for dehydration, along with the side effects of it, are more likely to happen when you’re active. But, you should consider get away of the single-us plastic bottles. To find a way to keep with the hydration, a reusable bottle is a great option to bring your water everywhere you go, especially if is made of stainless steel. This water bottle should be easy to drink from and have to carry enough water to keep you well-hydrated. Thankfully there are a few best Hydro Flask alternatives out there, some of which are near copies while others have a few of the same features along with some differences that could actually be more beneficial for you. When it comes to water bottle brands that are especially popular among outdoor enthusiasts Hydro Flask typically comes out on top. There is no doubt that Hydro Flask water bottles are very high quality, exceptionally durable and all-around impressive bottles. However, the popularity of the brand and its hefty design means Hydro Flask stainless steel reusable water bottle is fairly expensive as well as heavy. Here are the top 4 best Hydro Flask stainless and plastic bottles alternatives you can easily find online. Excellent size for drinking on the go. Final Swig: So Which Is the Best Alternative to Hydro Flask? 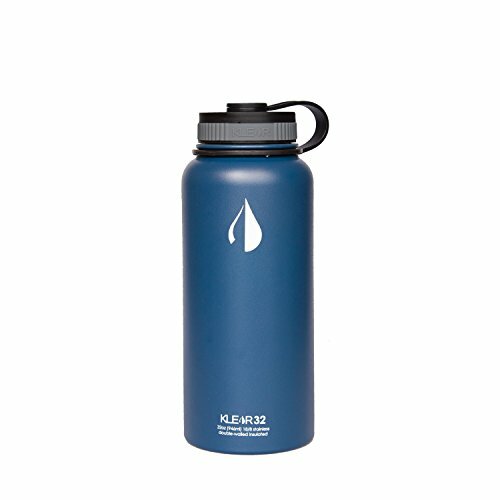 Those looking for a nearly identical bottle to Hydro Flask minus the price tag, then the Klear Bottle is about as close as you can get. Klear Bottle is an insulated stainless steel sports water bottle available in the ever popular 32 oz water capacity. In terms of outward appearance and construction, it looks nearly identical to Hydro Flask. In fact, some Amazon reviewers claim it is so similar that they wouldn’t be surprised if it came from the same factory. Klear Bottle is made of 18/8 BPA-free stainless steel and has no metallic taste. It is rated to keep cold drinks cold up to 30+ hours and hot drinks toasty warm for 12+ hours. It does have double-walled vacuum construction which means no condensation will build on the outside of the bottle. The Klear Bottle has the same wide mouth design of popular Hydro Flask options, which allows for easy liquids filling. The brand also offers their 32 oz bottle in 6 color options, which includes black and white along with a couple colors to keep you up with the hydration. With a nearly identical design and a price tag of only $19.99 from Amazon (check here for the latest price), the Klear Bottle is an obvious winner for someone that loves everything about Hydro Flask but its cost. Perhaps even more popular than the Hydro Flask brand is Nalgene. Nalgene bottles are loved by many and are also easy to find in a variety of stores, from outdoor supply shops right down to some grocery stores. If you want a big reusable water bottle but lightweight is extremely important, you can’t go wrong with this classic water bottle. The 32 oz Nalgene is a plastic bottle, so right off the bat, you will be aware that it does not offer any insulation for hot beverages as the Hydro Flask does. However, for some reason, this isn’t really a concern. Chances are you will not be putting hot beverages in this bottle and for the daily/casual use you may simply use ice cubes for cold drinking. For outdoor use, some find that they can use plastic reusable ice cubes or they simply find that naturally, coolness is fine for drinking. Due to the plastic nature of the Nalgene bottle, you are going to be getting an exceptionally lightweight product. But this doesn’t mean it is fragile. Cheap rigid plastic water bottles easily crack but the design of the Nalgene plastic is exceptional. It may not be as durable as steel, but it certainly is about as tough as anyone reasonably needs. 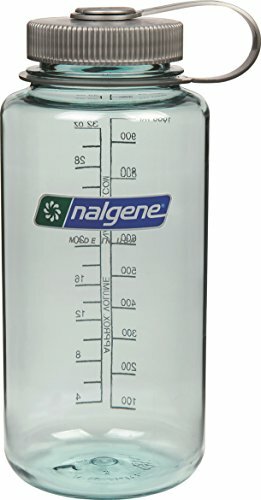 The 32 oz wide mouth Nalgene retails for just $10.99 (check here for the latest price) vs Hydro Flask’s $39.95 (check here for the latest price) price tag. If you want a huge variety of colors and a wide mouth design, but can do without insulation, then the Nalgene reusable bottle is an excellent choice for daily water drinking. Also, all new Nalgene bottles are certified to be BPA free! Note: You can see the full comparison I did of the Klean Kanteen vs Hydro Flask for more info. Hydro Flask does have a number of sizes available, though the 32 oz is arguably their most popular. That being said, fans of Hydro Flask that don’t want a giant bottle typically purchase their standard mouth 24 oz bottle instead. The 24 oz option is easier to hold onto and is also easier to drink liquids from while moving. However, even this smaller bottle is still close to $35 in price (check here for the latest price). A great alternative is Klean Kanteen’s 27 oz bottle. Klean Kanteen is often a lumped into the same category of high-quality stainless steel bottles as Hydro Flask so it isn’t a huge surprise many love this steel bottle. The 3 oz difference between the two models isn’t huge, but the price difference is. 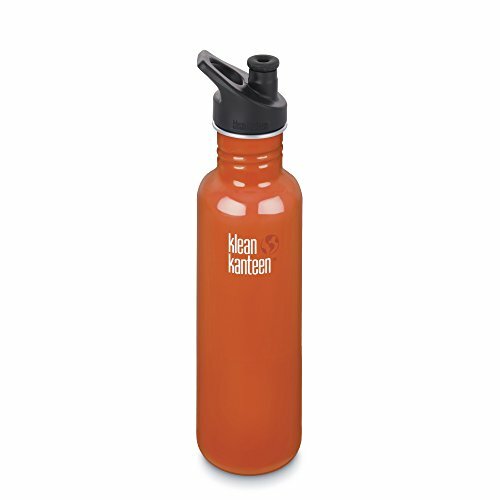 The 27 oz Klean Kanteen bottle retails for $20.95 but may be found on sale for $16.76. Klean Kanteen’s design is very similar to Hydro Flask, but it lacks double wall construction. This klean bottle still insulates better than a plastic one, however, and the single-wall design does reduce weight. Like Hydro Flask, Klean Kanteen also has other compatible caps that may be used instead of the standard open mouth option. Klean Kanteen bottles don’t usually have an issue with condensation or “sweat” and are an excellent size for drinking on the go. If you aren’t a fan of wide-mouths and want a bottle that can fit in most cup holders, the Klean Kanteen does the job very well and will save you almost $15 in the process. Let’s say you want a bottle that holds more than 32 oz so you don’t have to fill up as often, but you also aren’t a fan of wide-mouth bottles. Unfortunately most bottles 32 ounces and above are wide-mouth in design. Hydro Flask’s 40 ouncers are wide mouth with the option of purchasing one with a straw lid instead. The straw lid Hydro Flask 40 ounces bottle is $47.95 (check here for the latest price) and spending almost $50 on a water bottle is a bit too steep for some. A better option is the 40 oz FreeFlow Auto-Sealing Bottle from Avex. 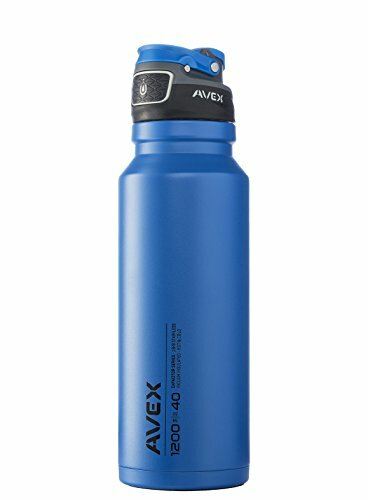 The 40 oz Avex bottle has even more positive reviews than Hydro Flask’s bottle and a much more intriguing design. This 18/8 double wall stainless steel bottle has Avex’s AutoSeal locking lid, complete with DropDown technology for making the clean up process easier. In fact, a common complaint of the Hydro Flask straw lid is its difficulty in cleaning as well as occasional leaks. Avex’s bottle has a higher flow rate and won’t be a pain to clean up. The carrying handle is super durable and actually bolted to the bottle. The spout of the bottle is also designed in a way to protect germs and dirt from getting onto the straw where you drink from. All in all, it has a much better design and at only a retail price of $36.99. This is definitely a must-have if you love spout/straw bottles but are tired of leaks, slow flow, and issues with cleaning. If the price isn’t a concern and you really just want a hefty bottle that can handle a lot of abuse, investing in a Hydro Flask certainly isn’t a bad idea. It is perfect for hot and cold beverages and a great way for staying hydrated during the day. But it also isn’t the only answer to supplant single-use plastic bottles or outdoor-friendly bottles, as you can see from the selection above. Spend a few moments comparing different steel or plastic bottles and brands to help you decide which is the best fit for your needs and preferences. Reminder Note On Pricing: IF the main reason you are on the fence with Hydro Flask is due to price, be sure to check this listing for the latest promos (I usually find a few).